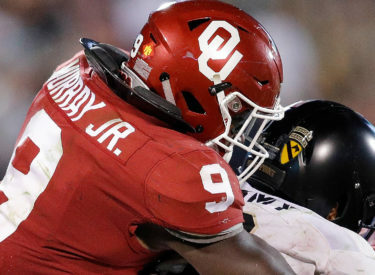 NORMAN (AP) – Kenneth Murray went into Oklahoma’s game against Army with the goal of breaking the school record for tackles. The sophomore linebacker ended up setting the Football Bowl Subdivision mark with 28. Arizona’s J.J. Taylor ran for a national season-high 284 yards on 27 carries against Oregon State. Air Force set the national season high for rushes when it ran on 86 of its 107 plays against Utah State.